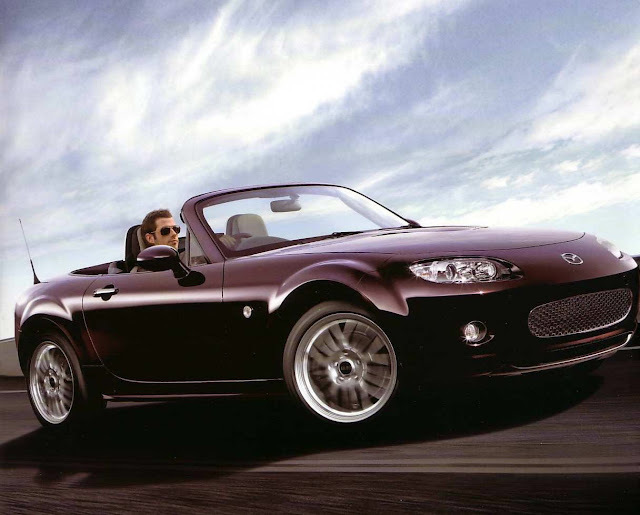 The MX-5 ZSport was a special edition released in the UK in 2007, it was based on the Japanese Blaze Edition. 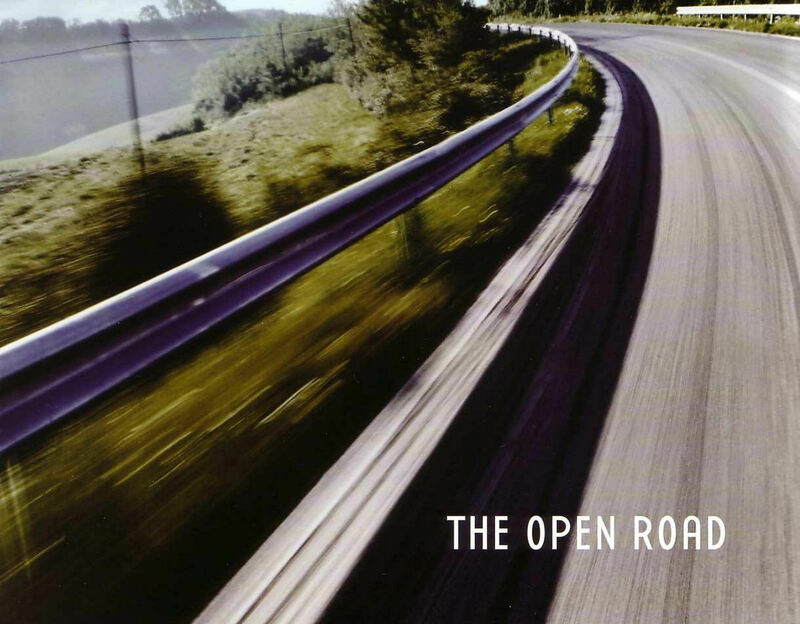 ZSport was only available in the Radiant Ebony colour which makes it easy to identify on UK roads. 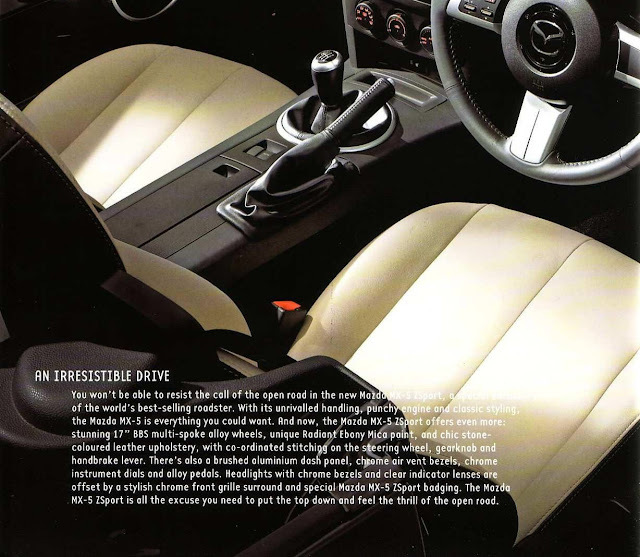 It's also fairly rare with only 400 made available. 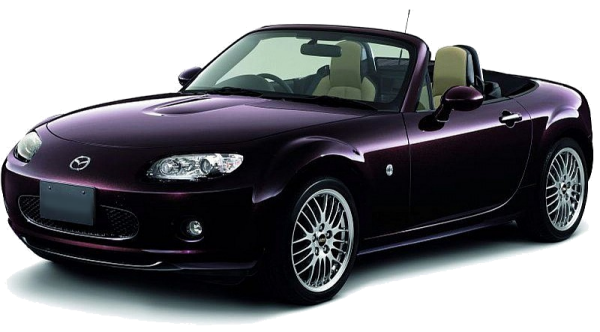 This model was based on the top spec 2.0 Sport and was originally priced at £19,995. This was a £1,045 premium over the equivalent model but represented good value as the extra included equipment was valued at over £2,250. The UK brochure was a brief four pages, but here is a look at it anyway. Zsport was based on the 2.0 Sport specification so has all of that car's standard features including the 6-speed gearbox, Bilstein suspension and limited slip differential. 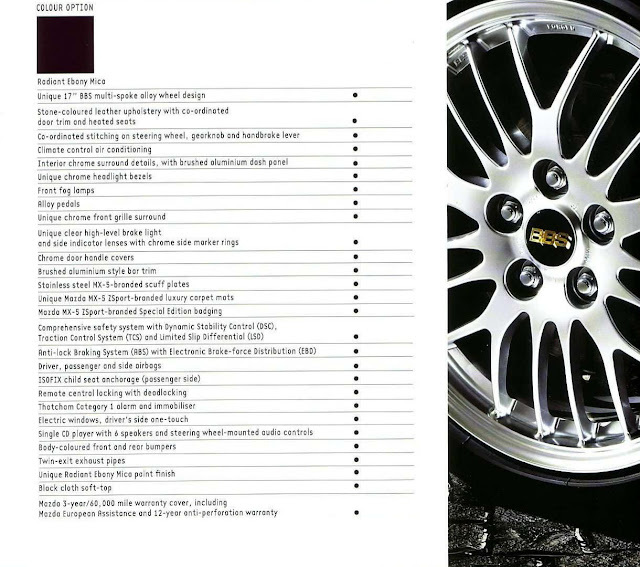 Extra features included the unique colour combination, forged 17" BBS alloy wheels, additional chrome trim, alloy pedals, plus clear front indicator and repeater lenses. 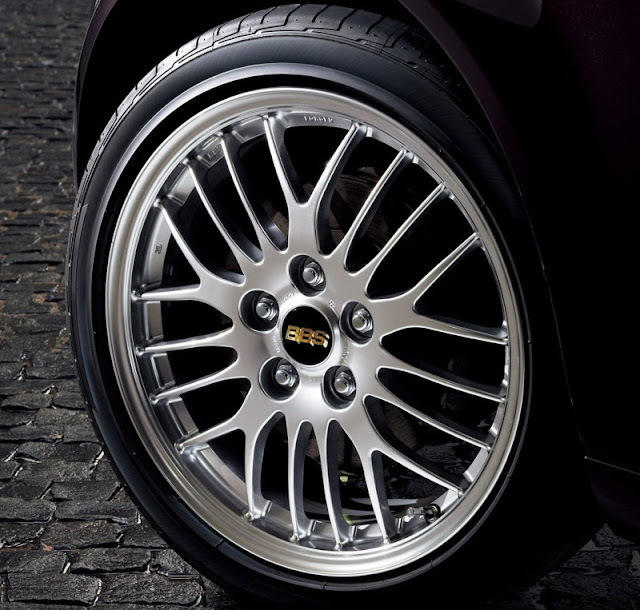 If you happen to own one, do look after those BBS rims as they will be expensive to replace.